Now you can bind materials as thin as 0.020". That's about 5 sheets of 20# copy bond! 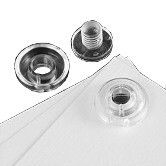 These are ideal for binding materials thinner than our regular screw posts can handle. 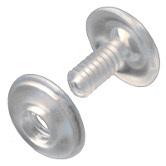 The screws are the same size as those in our small head screw posts. The caps are slightly larger.